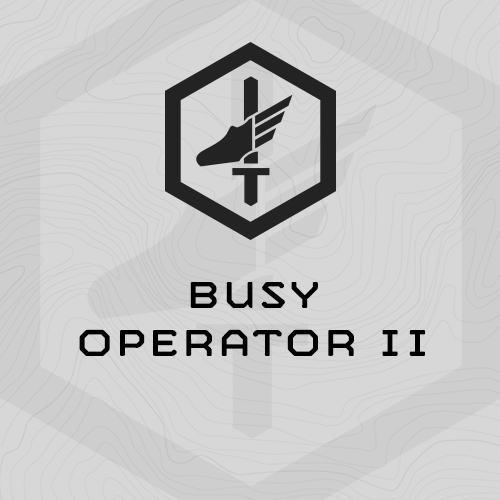 Another version of our Busy Operator programming specifically designed for military and tactical athletes who have limited training time. This is a 6 day/week, 36-session total training cycle and includes strength, work capacity and endurance-focused training sessions, each 30-45 minutes long. - Stopwatch with an interval timer. - Known 5-mile distance for running assessment and known 2-mile distance for follow-on intervals. Work up to your 1RM for both exercises briskly. Note yourinterval reps are lower (3x vs. 4x) this week, but load is heavier. (1) Work up to 1RM Hang Squat Clean. Do the instep stretch between work up rounds. (3) Work up to 1RM PushPress.